Join Helping Seniors of Brevard President, Joe Steckler, three times a day during each weekday for the “Helping Seniors” Television program airing throughout Brevard County on Space Coast Government TV. Joe has been a favorite presence and familiar face on the Bright House Networks TV for many years. He provides insightful information to “Help Seniors”. 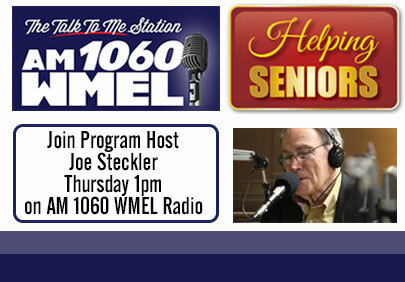 Join Helping Seniors TV Host Joe Steckler as he talks with Terry Jurovcik, of Beach Funeral Home, about the important topic of how planning ahead, often called pre-arrangements, works. Joe’s “Helping Seniors” Television Programs are always available, free-of-charge, and on demand, on the Helping Seniors of Brevard website at HelpingSeniorsofBrevard.org as well as on the worldwide Helping Seniors YouTube channel.